What does it say about a blog that chooses one of the great anti-novels of the past thirty years to kick off its Book Club? 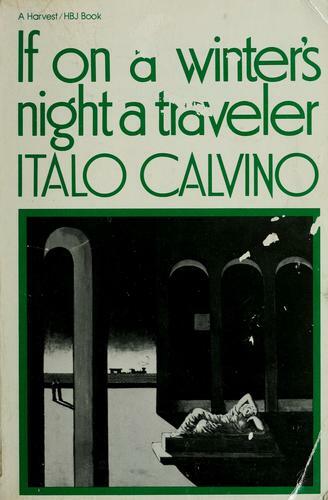 For those approaching the book for the first time, it opens itself to the reader with a delicious lie – as does any work of fiction – but this one is lipsmacking in its self-consciousness: “You are about to begin reading Italo Calvino’s new novel, If on a winter’s night a traveler.” for as soon as you have read it, it is false. This is the world of If on a winter’s night a traveler – the silver tongued narrator cajoling you to his own conclusion by acycle of stories – a whirlwind of narrative. If on a winter’s night a traveler is an honest novel, because it is naked in its dishonesty. It is a comic novel, because it bends the form of the novel to its own ends. It is a great novel, because it does these things lightly and in only 200 or so pages. It is one of the finest novels of the late seventies, two fingers to that decade’s chi-chi anti-establishment-ism. Calvino’s control of the form of the book, his mastery of the narrative, is an ultimate rejection of literature and of the novel and the social structures that gather forces around them – the echoing refrain of “Books You’ve Always Pretended to Have Read And Now It’s Time To Sit Down And Really Read Them” speaking to a social force by which people surrender themselves to the need to have read something or done something, rather than actually doing it properly and effectively. Calvino’s book is about strength: the strength to ignore the social and structural norms of reading (and perhaps of anything) and to reject them in favour of something which is genuine, strong and well meant. The book is a rallying call to the reader to take control of the book, of books, and not to be led by society, or the narrator, to investigate the text and its purpose and the meaning and not to be dazzled by the gloss of its surface or the name of its author. The book represents the values of this site, to lead a considered life, to reject structure for structure’s sake and to grapple with the heart of the book, its purpose, its root. We hope you have enjoyed the process with If on a winter’s night a traveler and we would love to hear your thoughts below this post. Please do let us know how you find reading the book, or anything else you would like to say. We will be posting again about If on a winter’s night a traveler next Friday, please do join us to discuss our next instalment. Book Club 2: If on a winter’s night a traveller | Don't read too fast.